Porch packages add a nice flair to our sheds! 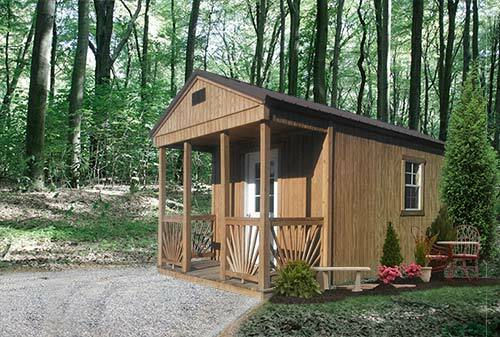 Create your own cabin, pool house, man cave or she-shed! With multiple styles to choose from, pick your favorite and get ready to enjoy sitting outside on your covered porch. With all our shed styles, you can choose from treated wood porches or Vinyl porches that feature outdoor composite decking. 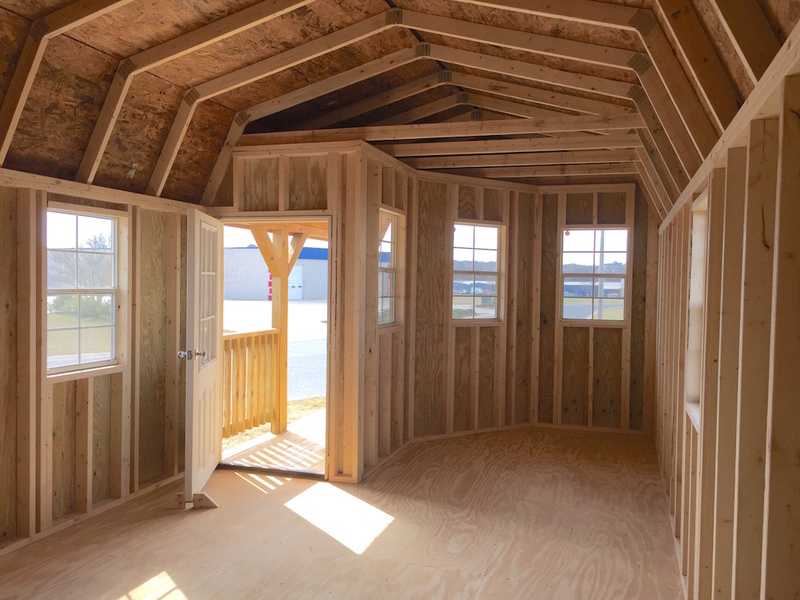 The treated deluxe porch is available for our Lap, Vinyl, Painted and Treated Wood Lofted sheds that are a minimum 12x28 size. *Images shown include additional windows. 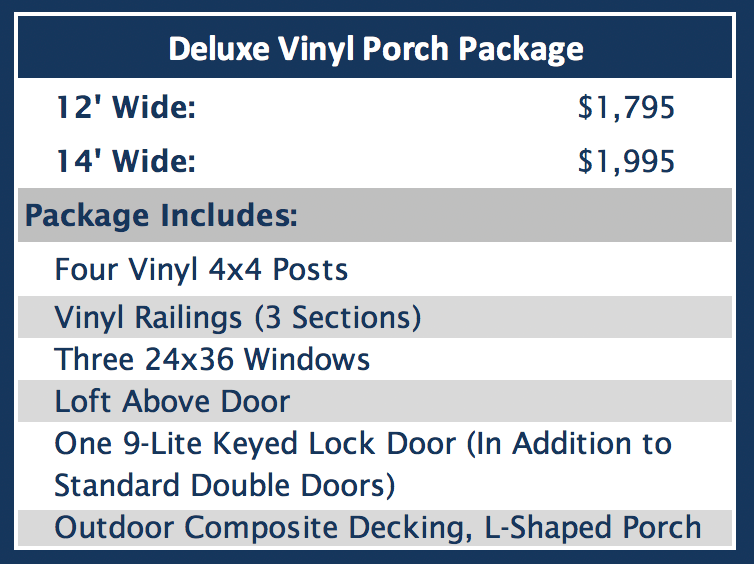 The vinyl deluxe porch is available for our Lap, Vinyl, Painted and Treated sheds that are a minimum 12x28 size. The treated wood front porch package is available for Southern Classic, Lap, Vinyl, Painted and Treated utility and lofted sheds. Available for the Southern Classic, Lap, Vinyl, and Painted utility and lofted barns. 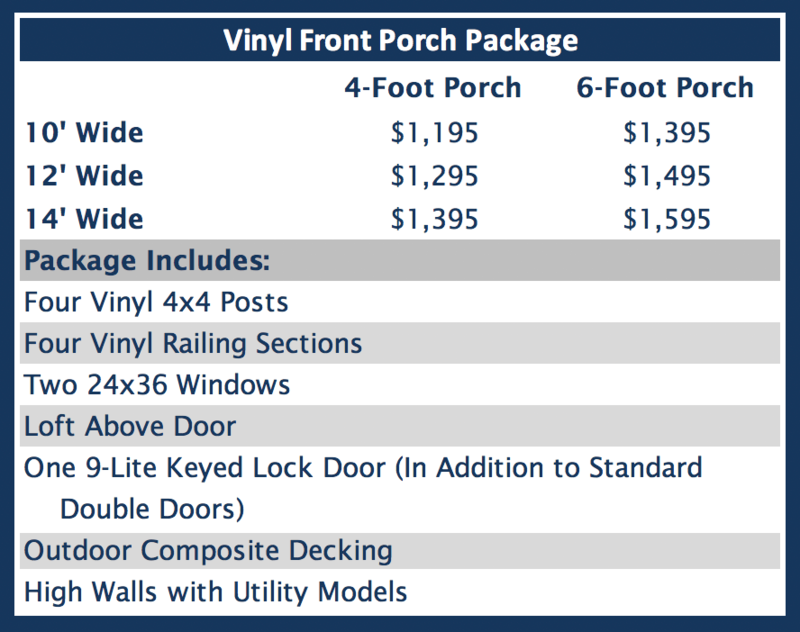 Adding the porch package decreases the interior length of the building by either 4 or 6 feet to accommodate the porch. For the side porch, you can choose door placement as shown in the examples above. The Treated Side Porch features the door on the length of the building. The Vinyl Side Porch features the door on the width of the building. 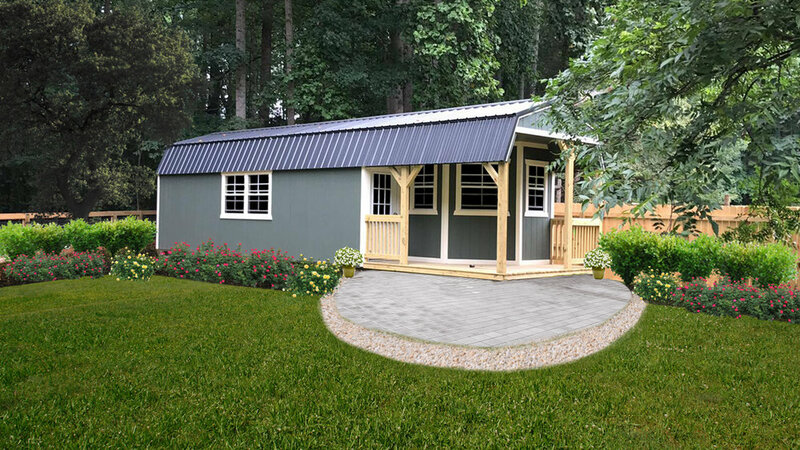 The side porch packages are available for the Southern Classic, Lap, Vinyl, Painted and Treated utility and lofted sheds with a minimum 10' width. Adding a porch package is a great way to create a fun fishing cabin or summer pool house!